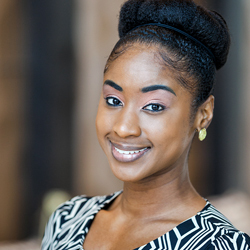 Tiffany Faublas joined the DDA team in 2014 from the Palm Beach County Convention Center, where she revamped the venue’s marketing efforts while overseeing all public and media communications, promotions, design and advertising efforts. Her main goal was to build awareness of clients’ events and brands. She also worked closely with many Downtown entities, community organizations and city officials, so she came to DDA already quite familiar with the Downtown area. Originally from Brooklyn, Tiffany became a resident of Palm Beach County in 2001, then moved to Orlando and graduated from the University of Central Florida with a master’s degree in business administration. As the DDA’s marketing director, Tiffany will oversee implementation of marketing and PR efforts to ensure the continued growth and brand of downtown.